Nowadays, a majority of brick-and-mortar stores works using the old scheme, and even doesn’t consider the opportunity to reinforce their business processes according to the newest trends. Nevertheless, the world is getting more and more digitized, and unsolved old problems of customers become a far bigger challenge on the way to eCommerce. The same thing happens with one of the sales techniques as a discount loyalty program. No matter whether it is an offline store or a store having an online version, customers visiting it get paper-made discount cards. Every store gives its own special paper card to stand out the client and enhance the customer loyalty to the brand. As a result, purchasers collect discounts, and their number sometimes can exceed the limit. Visiting the store next time, the customer will be steadily seeking the necessary card among the enormous amount. In terms of the store management, this is not a problem at all; however, in terms of the purchaser, it is a disaster. The keynote issue that we can elicit here is to answer the questions ‘Why the customer should wear any weight things to get a discount?’ and ‘Why shouldn’t the store take all the responsibility for conducting the base of regular customers?’. recording the card bonuses, giving the client the right to make free purchases (for example, at the end of the year). The functionality of smart cards seems pretty obvious and clear, but they haven’t yet covered the question of inconvenience for customers. So, let’s look at the point from another angle. On average, every client has approximately 50 discount cards. At first sight, the way to combine several brands in one discount card seems the best option. Brand marketers are thinking through loyalty programs, negotiating between brands and so on. However, there are pretty easier approaches to unite all these trivia discount ‘papers’ in one. We interviewed Onilab, the eCommerce development agency focusing on Magento stores, to ask these questions, and that is what the guys suggested. Having a base of purchasers is just a listing of their names, phone numbers, dates of birth and some more details. In other words, we can call it a list of customers’ profiles. Considering this at the technical level, a customer’s name is an identification variable. It means it will be enough to require the client’s name to give a discount. However, then a cashier should have an access to the store’s CRM system in order to make notes about the purchase manually. As we see, it is not a comprehensive approach because it requires labour cost. The other issue is how to manage this if the store has an innumerable number of regular purchasers, and, therefore, there is a necessity to sort them and keep in order. Nevertheless, the store isn’t supposed to order mobile app development and create a personal app for Android and IOS. There are special mobile apps providing such services for all stores simultaneously. Onilab sees the rescuing way in such a type of marketing integration. The mobile application is a user interface. All data displayed in this application is stored on a server. These data are changed and managed in the store’s CRM system, and, after the integration process, all changes in customers’ personal data and discount information automatically appear on the server and, accordingly, in the interface of the mobile app. Let’s consider the imaginary example. There is a mobile application where purchasers can collect their virtual discount cards. The store gets an access to the app through the integration between its CRM system and the app’s data center. 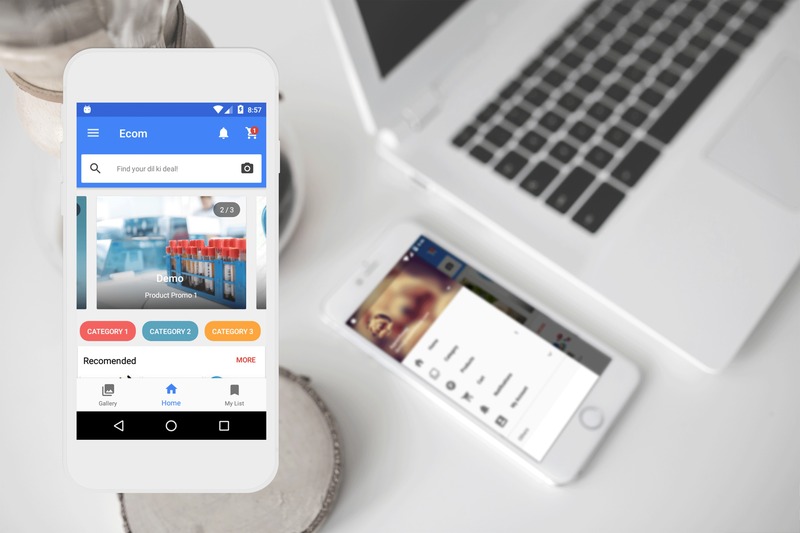 After uploading the app, customers personalize their profiles by phone number, email or another channel; the store manager types the customer’s personal data in the CRM system, and the customer sees the electronic discount card in the app interface. From the client’s end, all further interactions between the customer and the store’s CRM will be conducted via the discount mobile app. From the store’s end, the discount program will be managed via the CRM system. The app contains as many electronic discounts as possible, but it is only one app. The purchaser downloads the app and holds it on the phone all the time. The mobile app service installed in the phone should not overload the phone memory and performance, otherwise, the customer won’t download it. This approach helps business increasingly automate its relationship with customers, at the same time solving the main issue that irritates the majority of retail purchasers. In addition, this implementation makes retail business closer to eCommerce by virtualizing the process. Having integrated the aforementioned loyalty program, the brick-and-mortar store promptly steps to digital transformation.